Chelsea recently started up a business to sell her paintings. She’s got all kinds! 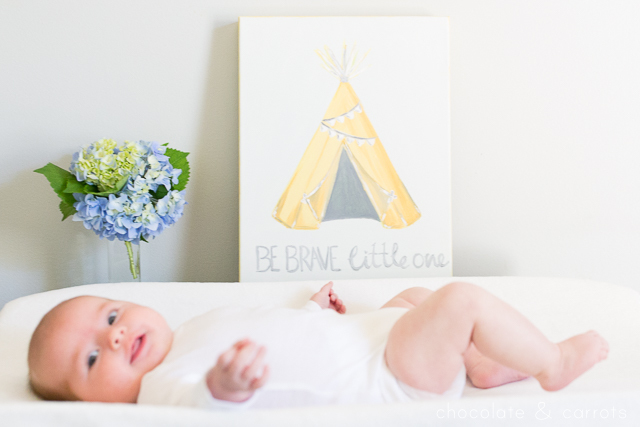 We both thought it’d be fun to do a giveaway of this original nursery piece for one of you! It’s perfect for a gender neutral nursery. 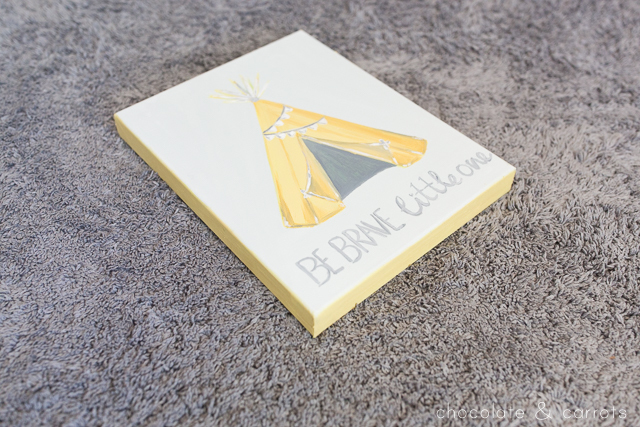 The painting we’re giving away is white/grey/yellow that reads, “BE BRAVE little one” with a teepee. So cute! Scroll down to the bottom of this page to enter the giveaway to win this exact piece of art and to find a promo code for your next purchase at Chelsea Edwards Art! 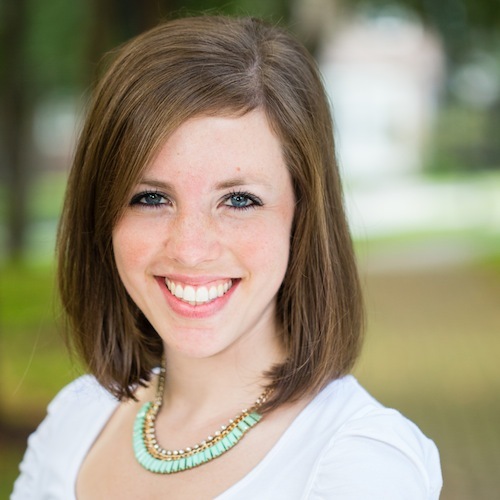 You can see more of Chelsea’s work on her website, facebook or instagram! Use the code “CHOCOLATE+CARROTS” at checkout, to receive 15% off any order. 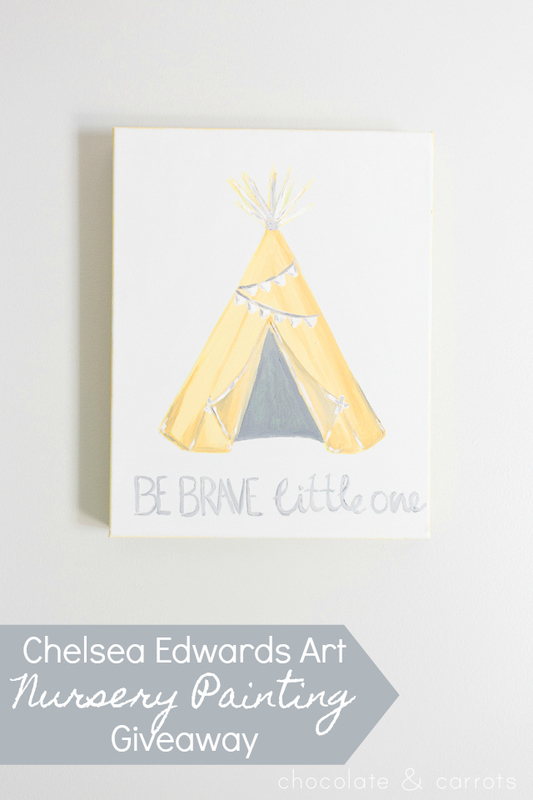 This post was created in partnership with Chelsea Edwards Art. I was not compensated for this post, but Chelsea Edwards Art provided the giveaway. All opinions are my own. Please read my disclosure policy for further information. This is adorable. 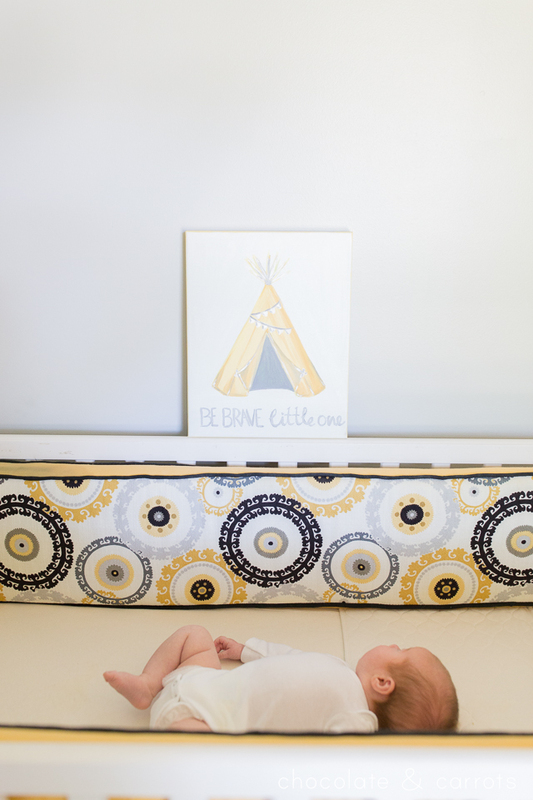 Would look great in #3’s nursery! 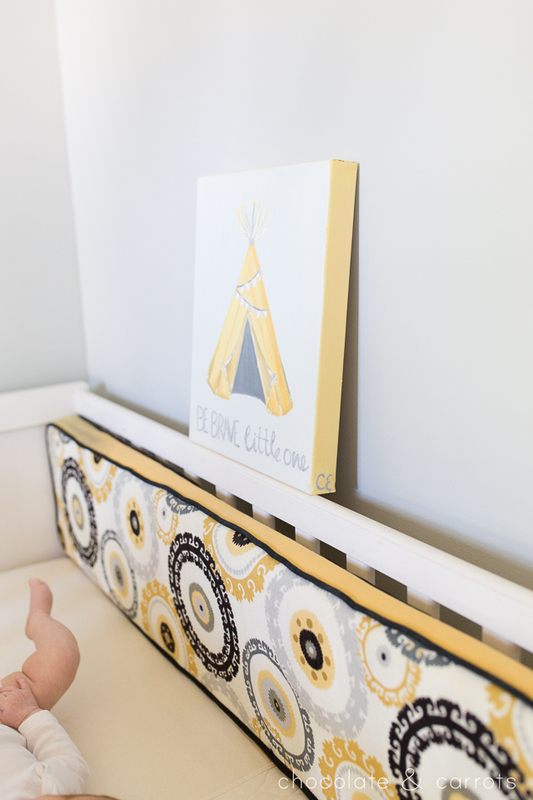 We are doing a yellow and gray nursery, so this would be perfect! My friend is having a little boy and this would be so cute for her nursery! This is darling and would be great to give to my son and daughter in law for their new little boy. And they used grey in his nursery so color would be perfect. Our son’s nursery has a lot of gray and navy so a pop of yellow would be so cute! Looking forward to my 1st grandbaby. This painting would be awesome!! !